The Ohio Health Issues Poll (OHIP) is conducted every year to learn more about the health opinions, behaviors and status of adults in Ohio. In 2017, OHIP asked Ohio adults several questions about electronic cigarettes (e-cigarettes). 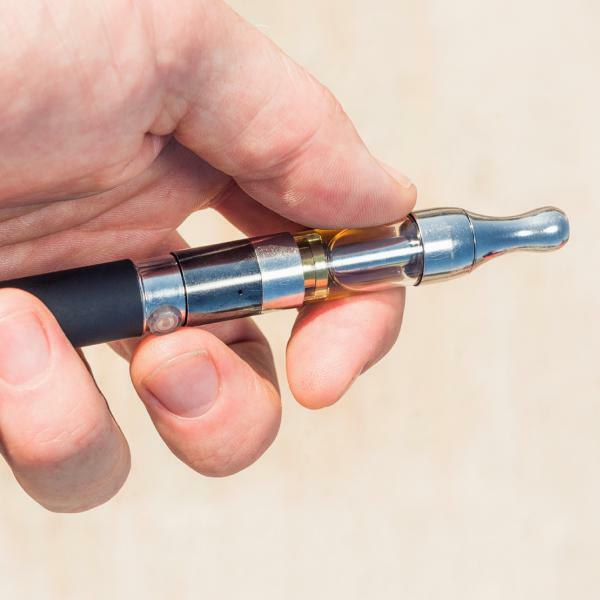 An electronic nicotine delivery system, also known as an electronic cigarette or e-cigarette, is a system that uses a battery and a heating element to deliver nicotine vapor to the user. Using such a device is widely known as “vaping.” In 2017, OHIP asked Ohio adults, “Have you ever used an electronic cigarette?” Nearly 3 in 10 Ohio adults (28%) reported having ever used an e-cigarette. This is higher than in 2016 (19%) and about the same as in 2015 (24%). Younger adults are more likely than older adults to have ever used an e-cigarette. Half of Ohio adults between the ages of 18 and 29 (50%) have ever used an e-cigarette. This compares with more than 3 in 10 adults (37%) between the ages of 30 and 45, 2 in 10 adults (23%) between the ages of 46 and 64, and only 4% of adults 65 and older. Research about the relationship between e-cigarettes and traditional cigarettes is still evolving, including the question of whether one activity leads to the other. OHIP found that 7 in 10 adults who currently smoke traditional cigarettes (67%) had ever used an e-cigarette. This compares with nearly 3 in 10 former cigarette smokers (26%) and more than 1 in 10 adults who have never smoked cigarettes (13%). OHIP asked, “Would you favor or oppose the State of Ohio placing an excise tax on the sale of e-cigarettes so that e-cigarettes are taxed at a rate similar to a pack of cigarettes?” Six in 10 Ohio adults (60%) favor such a tax, compared with only 3 in 10 adults (34%) who oppose it. These results were about the same among adults of all political parties. One in 10 Ohio adults (10%) believe that electronic vapor caused no harm to children. More than 1 in 10 Ohio adults (14%) believe electronic vapor causes little harm, 4 in 10 (43%) feel it causes some harm and 2 in 10 (23%) believe that it causes a lot of harm. The remaining 1 in 10 Ohio adults (11%) did not know. E-cigarettes are a fairly new product. The health risks of this product have not been clearly determined, and research is under way. While use of traditional tobacco products has been declining over the past decade, use of e-cigarettes is becoming more common, particularly among younger adults. These questions give a clearer indication of who is using e-cigarettes, and where public opinion stands on e-cigarette policy and safety.